The Trojans Cross Country team participated in a SWAC regular-season meet on Wednesday at Wake Med Soccer Park. Senior Jacobi Asor-Sallaah finished fourth with a time of 17 minutes, 01.25 seconds to lead the seven Garner runners. Other Trojans competing were Ashton Olmsted, George Ellis, James McMillian, Jack Montgomery, A.J. Kinrade and Doug Combs. 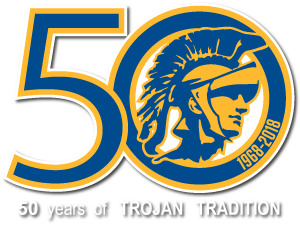 Coach Pate and the Trojans Cross Country team will be back in action on Sept. 29th at the SSS invitational in Smithfield.